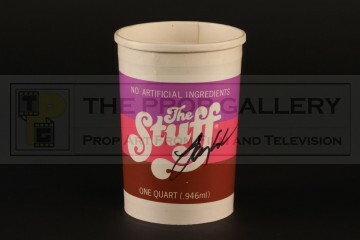 An original prop used in the production of The Stuff, the 1985 satirical horror picture directed by Larry Cohen. 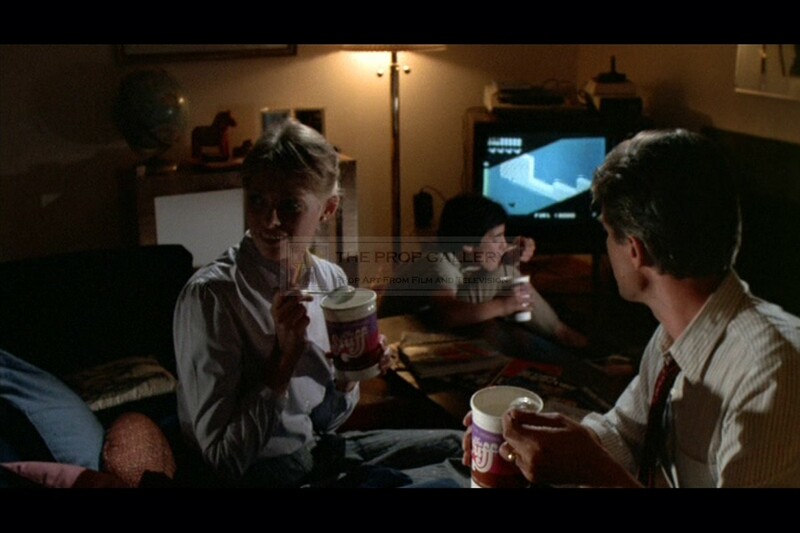 These containers can be seen prominently throughout the movie as are used to market the yoghurt like substance 'The Stuff'. The containter is constructed from thick card with an applied purple, pink and brown label which features The Stuff logo with the copyright 'GOODSTUFF INC 1984' and a barcode. 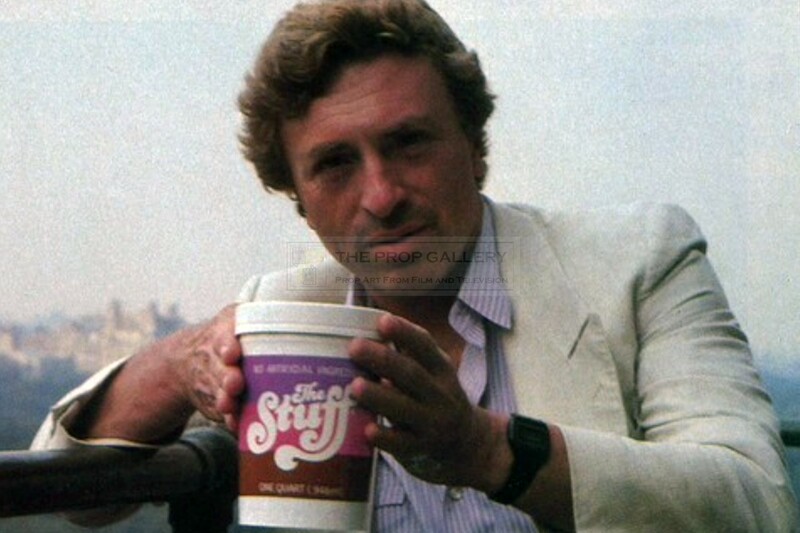 This container is the larger one quart sized version, twice as large as the one pint containers also seen in the movie, and has been signed by writer, producer and director Larry Cohen in black marker pen. 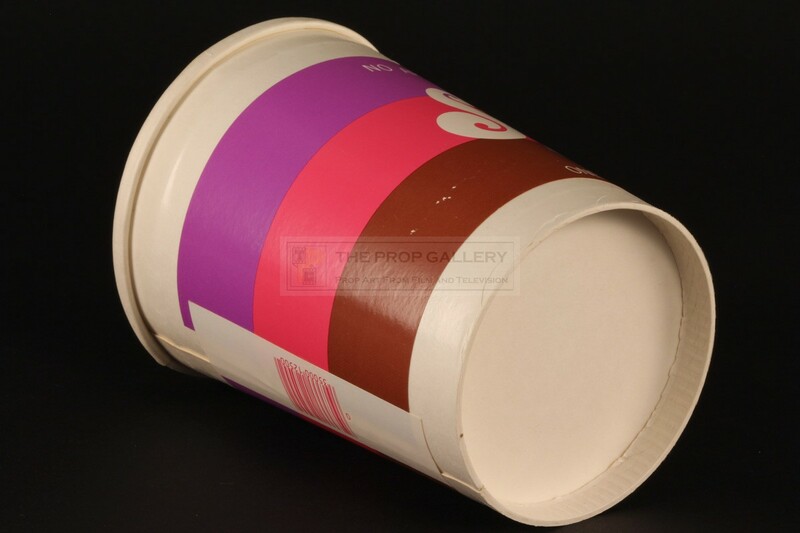 The container measures approximately 4" in diameter and stands 6" high, it remains in excellent production used condition with only minor wear, overall very fine. 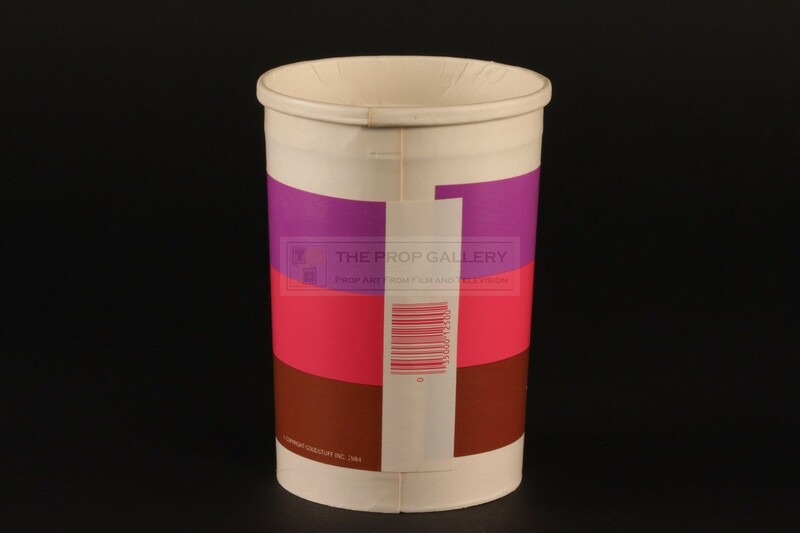 An instantly recognisable and highly displayable artefact from this cult picture which requires no introduction.